The epic rockers; Black Rebel Motorcycle Club & Death From Above 1979 are coming to The Wiltern on Tuesday 25th October 2016! Here on their co-headline tour, the two acts will be performing their groundbreaking sets. Influenced by the likes of music royalty Led Zeppelin and also encompassed slower paced psychedelic rock, space rock, and noise pop – it should be a night to never forget! "Be there, be square, be whatever, we don't care. Just come! Bring a friend or a lover. Bring your mother. Baby brother. Don't bring babies. No dogs. Bring a picture of your dog. Wear a shirt with a picture of your cousin on it." "Black Rebel Motorcycle Club have been around since 1998, championed by Noel Gallagher during his Oasis days having them supporting them on countless occasions. Why is that? 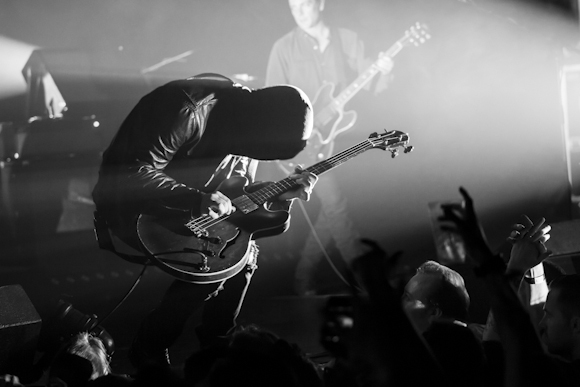 Because not only do Black Rebel Motorcycle Club churn out some great Rock 'n' Roll tracks, but this band can deliver those bad boys effortlessly on the live stage. If you have not seen this band live, you have to catch them on their latest tour!"